Find free classifieds for Industrial Tools & Equipment for sale or to buy in Rajasthan. FREEADS in India offers you a platform to post free advertisements or classifieds for Industrial Tools & Equipment, Rajasthan. FREEADS in India helps you search, find, buy, sell, rent or hire in various categories like apartments, goods for sale, local services, cars , jobs and many more in Rajasthan. Shown below are ads available in Industrial Tools & Equipment, Rajasthan. You can use search box above to refine your search. 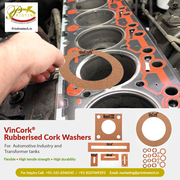 VinCork® Rubberised Cork Washers best For Automotive Industry and Power and Distribution transformer tanks. Our Product Features: ✓ Flexible ✓ High tensile strength ✓ High durability VinCork® Rubberised cork Washers are obtained from die punching the VinCork® rubberized cork sheets into various forms and sizes as per customer design. Agglomerated Cork sheets are produced using various binding materials with cork. This possess unique characteristics of the cork that allows obtaining superior level of mechanical, microbiological and sensorial properties. The uniform cork granules & density has been perfected to get ideal balance between tensile strength, homogeneity and elasticity. The combination of nature and technology has given us synthetic cork sheets for commercial and industrial purposes. The moulding rubber corks are blended with quality gasket materials to offer the best tensile strength and hardness. Mouldable rubber used by us saves labour and time for the end clients. SK Bearings is top manufacturing industry of propeller shaft bearings.Kansara group is leading suppliers of propeller shaft bearings. For Sale : Candy & Tablet Confectionery Plant Diesel Bhatti/Furnace (1) Dhiman Vacuum Pump Set (1) Cast Iron Cooling Plate (4) Water Cooling Plate (1) Batch Roller (1) Dhiman Centre Part 8" inch (1) Cooling Conveyor (1) Plast-O-Plast Machine (1) Plast-O-Plast die set (50) Coating Pan 2. SulzElectro is a one-stop destination for Textile industry which supply products of textile machinery that are made available. We are suppliers of Schmersal Limit Switches, Textile Electronics Part Supplier, Textile industry Machinery, Sulzer Loom Parts Supplier, Textile Key Pads, Weft Feeder Spares, Industrial Electronics Supplier, Industrial Automation Spares, Cooling Fans, Angle Discs, Nickel Cadmium Batteries, Yarn Guides, Printed Circuit Boards, PCB Repair Tools, etc. SulzElectro is a supplier of machinery products that are made available from reputable brands in the Textile industry. We are suppliers of Textile Key Pads, Textile Electronics Part Supplier, Textile industry Machinery, Industrial Electronics Supplier, Industrial Automation Spares, Sulzer Loom Parts Supplier, Weft Feeder Spares, Schmersal Limit Switches, Cooling Fans, Angle Discs, Nickel Cadmium Batteries, Yarn Guides, Printed Circuit Boards, PCB Repair Tools, etc. SulzElectro is a one-stop destination for supplies a wide range of Textile Electronics Part that is made available for Textile industry. We are suppliers of Textile Electronics Part Supplier, Weft Feeder Spares Supplier, Textile Machine Key Pads Supplier, Schmersal Limit Switches Supplier in India..
TUFIT Electronic Timer Controlled auto drain valves are a crucial part of the compressed air system. Condensate drain valves remove condensate from the air system without losing excessive compressed air and without shutting down the system. 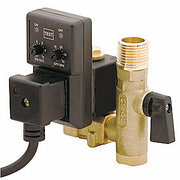 Condensate can have harmful effects on a system when not removed. This is a Hydraulic cutter with scissors type head. It is applicable for cutting wire rope, wire strands, soft Cu AI Steel Bar, Reinforcing bar and underground cable. Its cutting capacity can reach 40 mm diameter. With scissors type head design, double speed unit and safety unit and safety valve, cutting becomes easy, fast and safe. 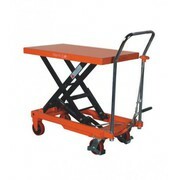 Stack Easy Hydraulic Lift Table Truck SE/PT100 2035 x 750 Specifications: Capacity : 1000 kg Minimum Table height 360 mm Maximum table height : 1360 mm Dimension of table : 2035 x 750 mm Height of handle from ground : 1000 mm Features : Two kinds of lowering systems, release nut & lever. 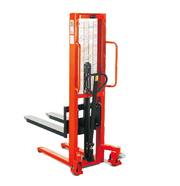 Stack-Easy Hydraulic Manual Stacker SE/MS/1016 Specifications : Capacity : 1000 kg Fork Length : 1150 mm Fork Width : 550 mm Lifting Height : 1600 mm Overall Length : 1280 mm Net Weight : 250 kg Features : High Quality Mast steel ensures rigidity, durability. Stack Easy Hand Pallet Truck SE/GERMANY 26 Specifications: Capacity : 2600 kg Size of forks : 1150 x 540 mm Minimum Fork Height : 85mm Maximum Fork Height : 200 mm Steering wheel : 200 x 50 mm Features : All pivots are greased ensures excellent maneuverability with effortless steering. VPR Enterprises success history is based on the principle of fabricating the best quality range of products thereby assuring utmost customer satisfaction. 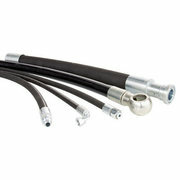 Vamatex Leonardo Loom Parts, Loom Machine Parts Manufacturer and Suppliers in India. Its broad range consists of: Textile Machinery Components, Textile Machinery Spare Parts, Textile Machine Components, Sulzer Loom Parts, Loom Machine Parts, Sulzer Machine Spare Parts, Sulzer Textile Machinery Parts, Sulzer Projectile Loom Parts, Vamatex Loom Parts, Vamatex K88 Rapier Loom Parts, Vamatex Leonardo Loom Parts. VPR Enterprises is a major Manufacturers, Suppliers and Exporters of Textile Machinery components and spare parts in India. The company’s success history is based on the principle of fabricating the best quality range of products thereby assuring utmost customer satisfaction. Its broad range consists of: Textile Machinery Components, Textile Machinery Spare Parts, Textile Machine Components, Sulzer Loom Parts, Loom Machine Spare Parts, Sulzer Machine Spare Parts, Sulzer Textile Machinery Parts, Sulzer Projectile Loom Parts, Vamatex Loom Parts, Vamatex K88 Rapier Loom Parts, Vamatex Leonardo Loom Parts. VPR Enterprises success history is based on the principle of fabricating the best quality range of products thereby assuring utmost customer satisfaction. Sulzer Machine Spare Parts and Sulzer Textile Machinery Parts Suppliers, Manufacturers and Exporters in India. Its broad range consists of: Textile Machinery Components, Textile Machinery Spare Parts, Textile Machine Components, Sulzer Loom Parts, Loom Machine Spare Parts, Sulzer Machine Spare Parts, Sulzer Textile Machinery Parts Supplier, Sulzer Projectile Loom Parts, Vamatex Loom Parts, Vamatex K88 Rapier Loom Parts, Vamatex Leonardo Loom Parts. Haritsil is a Precipitated Silica supplier in India and other silica like Rubber Reinforcement Filler and allied products. We presents the scope of best quality Precipitated silica to the customers. For More information Visit our Website. 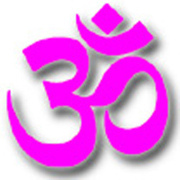 http://www.haritsil.com. 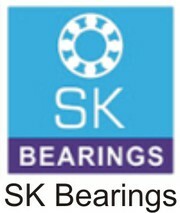 JewelsnTools supplies Diamond Saw Blades, Diamond Wheel, Diamond Grit and other Diamond Cutting Tools & Parts worldwide. For more details please visit:- http://www.jewelsntools.com/. Electro Dies & Tools is a well established wire drawing dies manufacturer, exporter & supplier in Jaipur, deals in industrial tools & equipments such as steel hand stamps, roll stamps, leather stamps, branding stamps, natural diamond dies and more..
Vipeak Sand Washing Machine Technical Parameter Introduction: 1.Working Principle: XSD Series Sand Washing Machine is a kind of wheeled washing equipment, and can clean and separate the dust and powder from the sand. Its new seal-structure and reliable driving device can make sure the cleaning effective and a kind of high efficiency sand washing equipment matched with the Sand Making Machine. Breaking or reversing Black Magic Spell:- Putting a Black magic spell on someone is very easy for those knowing even a little bit of Tantrk siddhis/voodoo. But to remove the spell and eliminate its sinister effects needs lot of expertise, continuous & rigorous puja/worship and a combination siddhis & sadhna. Tempsens Instruments (I) Pvt. Ltd. is one of the largest manufacturers of temperature sensors in India with an experience of 35 years in the field of temperature measurement. 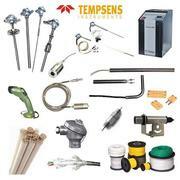 Tempsens is ISO 9001 certified company with NABL accredited laboratory. 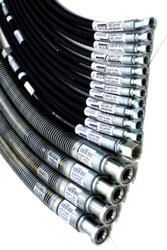 We manufactures Thermocouples, RTDs, Thermowells, Compensating cables, Calibration Equipments, pyrometers, Industrial heaters and related accessories. India ads for Industrial Tools & Equipment, Rajasthan, Industrial Tools & Equipment free ads Rajasthan, Industrial Tools & Equipment for sale Rajasthan, Industrial Tools & Equipment to buy in Rajasthan. 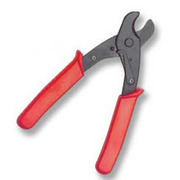 This page is a classified ads listing for Industrial Tools & Equipment Rajasthan. This listing includes classifieds for sale and to buy in Rajasthan. If you posted an advertisement on Industrial Tools & Equipment, Rajasthan before please use Edit my ads button to change or cancel your ad. Industrial Tools & Equipment Rajasthan ads Rajasthan, Industrial Tools & Equipment classifieds Rajasthan, Industrial Tools & Equipment free ads Rajasthan, ads for sale Rajasthan, ads to buy Rajasthan, FREEADS in India. Find here ads for sale, to buy and rent in Rajasthan. Goods for sale in Rajasthan, vehicles for sale in Rajasthan, Rajasthan real estate for sale, Rajasthan property for sale, property for rent in Rajasthan, business ads in Rajasthan, Rajasthan business classifieds, services in Rajasthan, Rajasthan services ads, jobs in Rajasthan, pets for sale in Rajasthan, Rajasthan dating, Rajasthan cars for sale.